The Yield is hiring. Come join us change the face of agricultural technology and help feed the world without wrecking the planet. We are looking for a Data Scientist who is passionate about solving real world problems and providing insight via advanced analytics. The Yield is an Internet of Things (IoT) agriculture technology company. We take the guesswork out of growing. We help improve customers’ yields by providing on-farm sensors and a customised information service to make faster decisions. We work with leading farmers. The world needs to produce 70% more food by 2050 to feed the planet at a time of unprecedented resource constraints and the impact of climate change. Our aim is to be a global leader in intelligent solutions in the food industry. We are developing our IoT solutions in Australia before scaling aggressively globally. The Yield has a highly-focused team that brings together world-leading agriculturists, scientists and technologists. We partner with some of the global giants of technology services like Bosch, Intel and Microsoft. We have a strong commitment to open innovation and collaboration both internally and externally. A core value is that we work with the best and share the rewards. Our founder and Managing Director has spent her life time promoting inclusion and diversity at work. Our business is committed to creating the right culture, systems and flexibility for everyone regardless of gender, race, ethnicity, disability or sexual orientation to thrive and reach their full potential. We were awarded the Australian Information Industry Association (AIIA) inaugural #TechDiversity award in 2016 in recognition of our achievements. The Data Scientist role is part of the Data Science Team based in Sydney. In this role you will be working within a multi-disciplinary team to create previously unknown insights, model and codify inherent knowledge and provide local on farm predictions using cutting edge methods and techniques. You will be working with varied data sets, ranging from multiyear climate data, observation data collected by on farm sensors and outputs of publicly available agricultural models. Be flexible, we need people who will do whatever it takes to get the job done. Strong organisational, communication and collaboration skills to build and strengthen working relationships. 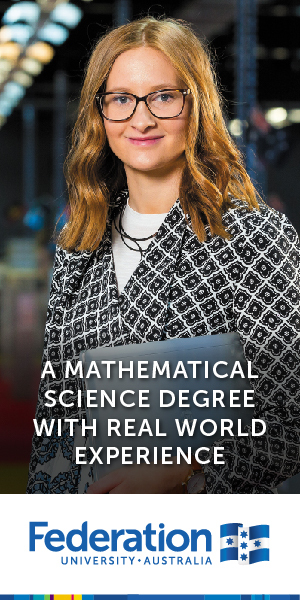 A degree with a strong quantitative focus in areas such as Statistics, Mathematics, Economics, Science, Computer Science, Environmental Science or Agricultural Science; or equivalent experience. You are a natural collaborator who thrives working with new data, identifying relationships and solving problems. You will have real world experience delivering data driven solutions to high scale production environments. You thrive in an environment of rapid change and innovation. You aren’t afraid to take responsibility for your work, to stretch yourself and to be challenged. We also hope you love all things food and can relate to producers across the value chain. We are looking for talented women and men who share our passion and hire on both skills and values. We are a truly diverse company and are actively striving to be an industry leader in building inclusive technology teams. We offer a supportive and flexible working environment, including giving our staff the tools needed to work remotely.